The romanticised image of the rural school may be somewhat distanced from the truth. I am quite sure that some people, including more than a few teachers, imagine that teaching in a small rural school in a beautiful environment would be part of an idyllic lifestyle. It certainly does have its attractions. The economist E.F. Schumacher in his thought provoking book Small is Beautiful contributed positively to the education debate when he suggested the need to ensure that learning values local communities and contributes to regional economics, a focus best achieved through locally based provision. For many, his economic theories have been interpreted as ensuring that schools remain small, locally based and committed to the espousal of ethical and sustainable living. Such schools should enable communities to maintain their own identities and enable the maintenance of family cohesion. This idea has at times been fostered through fiction, as was the case in the 1950’s when Miss Read (the nom de plume of Dora Jessie Saint) wrote her idealised accounts of life in the mythical English villages of Fairacre and Thrush Green, including the best-selling Village School. It is still possible in some of the more remote regions of the British Isles to find single teacher schools serving tiny child populations, though in recent decades many of these have been closed and amalgamated with others to provide for a larger pupil group. The loss of a school from any community is sad and can be traumatic for those who live there, but the notion that these were ideal establishments in which to work was often far from the truth. Teachers in small schools are responsible for delivery of the same breadth of curriculum as their counterparts in larger establishments. The demands made upon a single teacher to provide a thorough foundation in all subjects are considerable and daunting to all but the most versatile of professionals. There are often difficulties in maintaining classes if the single teacher falls ill, and even greater challenges for any pupil who doesn’t relate well to the teacher, when there is no alternative. So, whilst a romanticised image of the small school will persist, they are certainly not institutions free of difficulties. These thoughts came to mind today after reading an article in the Hindu (Here Dalits denied basic education, by R. Sujatha, April 1st 2015) which tells of the apparently parlous state of education in some rural areas of Tamil Nadu. This reports a campaign by educational activists (it is not explained exactly who these are) and a non-governmental organisation called Samakalvi Iyakkam to appoint more teachers to what are currently single-teacher schools. I would imagine that at this point readers in England and other European countries who have an image of single teacher schools in their minds, may be thinking of a class of perhaps 15 to 20 children. However, the focus of the campaign from Samakalvi Iyakkam is upon providing additional staffing to single teacher schools with a population of more than 115 students. I think that most of us would accept that one teacher with 115 students of mixed age, needs and ability is far from the idyllic situation that readers of Miss Read’s novels might have anticipated! The Hindu report, which draws heavily upon budgetary figures prepared by Adi Dravidar Welfare Department, identifies the poor staffing ratios in school as just one of the critical factors limiting school attendance. Even where there is a reasonable supply of teachers, the lack of expertise in some subjects such as science and mathematics, is inhibiting effective curriculum opportunities. The article reports that less than one third of students completing primary education in six districts of Tamil Nadu (Chennai, Kancheepuram, Tiruvallur, Tiruvannamalai, Vellore and Villupuram) progress to secondary schooling. In addition to poor staffing levels other factors such as poor toilet facilities, the lack of safe drinking water in 33% of schools and 58% of schools having no playground facilities, are also seen as contributing to this sorry situation. The Right to Education Act is one of the most progressive and imaginative pieces of legislation to promote inclusion, to have been put into place in any country. However, this is most certainly destined to fail if attention is only given to the development of school facilities in urban areas. Furthermore the lack of professional development for teachers and the low esteem in which they are often held, particularly in government schools in rural areas, is a major obstacle to progress. I don’t believe that many teachers are really expecting some form of Shangrila in their teaching situations. We all know that teaching is a challenging profession, but equally one that can be immensely rewarding for teacher and pupil alike. It is unlikely that an education system that places an excessive load upon teachers by putting them in front of ridiculously large classes, or denies pupils and teachers access to the most fundamental of resources, and basic necessities, will aid the significant progress that is articulated as a desirable outcome in current Indian legislation. As is almost invariably the case, those who are struggling most with the challenges outlined by the Adi Dravidar Welfare Department, live in the poorest communities of Tamil Nadu. I am quite sure that a similar situation pertains in other states across India. 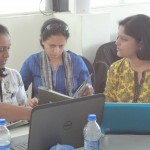 The willingness to implement change is in evidence throughout the Indian education system. I see this regularly in the commitment of the teachers with whom I work whilst visiting the country. There is, however, a persistent difficulty in achieving the levels of co-ordinated response that can bring about the change that everyone wishes to see. How can we be sure of the motivations of those who see education as a business opportunity. Dr Kishore Singh who is the United Nations Special Rapporteur on the right to education, recently expressed his concern that universal access to education is in danger of being inhibited because of current proposals being considered in a number of African nations. Government authorities in several of these countries have recently been considering the delegation of fundamental education services to the private sector, in what Dr Singh perceives to be an effort to reduce spending on education. Dr Singh, who has a background in law, is well versed in the challenges of working towards the achievement of the rights of all children to receive an education, having held a post of responsibility for overseeing the right to education at UNESCO for many years. He has been involved in a number of campaigns in this area, and has been recognised for being outspoken on issues such as the eradication of corporal punishment, and violence towards children. His experience and knowledge is such that we should be prepared to listen attentively when he expresses his concern that children are in danger of being denied learning opportunities because of poor governance. Why should Dr Kishore Singh be concerned? If the private sector is willing to provide education for children, shouldn’t the state be encouraged to support such an initiative? It is certainly true to say that there are many excellent private schools, some run by NGOs, others by charitable trusts and even some by wealthy philanthropists, which are doing excellent work in this field. I am sure that Dr Singh recognises this, but he is right to express his apprehensions. In particular there are concerns that once the state abdicates responsibility for the education of its children, it loses control of the ability to ensure that the quality of schooling is high, and that the curriculum and other procedures are fit for purpose. Where things go wrong, if the state has no oversight and no available sanctions, there is little opportunity for redress. There must also be questions asked about the motivations of those who choose to develop private educational institutions. 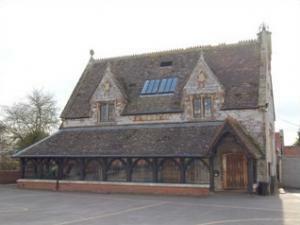 There are many instances where such schools have been run purely on business lines, with a focus upon making profit, and others where they have been seen as the means of promoting a doctrine which may not always be in the interests of the children or communities which they claim to support. In countries where private schooling sits comfortably alongside that provided by the state, there are well established elements of quality assurance and control, overseen by national governments, to which all schools must adhere. Where such procedures are ignored, this can lead to major injustices and the exclusion of significant elements of the population from schooling. Where schools are managed in order to make a profit, they are usually dependent upon contributions from the wealthiest sections of society. The children of affluent families tend to be warmly welcomed by the management of these schools, those who come from more marginalised backgrounds less so. When these schools have endeavoured to provide for a proportion of children from poorer communities, or those who have been excluded because of disability or special educational needs, they have often been faced with opposition from those parents who believe that this will be to the detriment of their children. In talking about the importance of providing parental choice, the managers and owners of these establishments are almost invariably considering the right to choice of only a small and largely advantaged section of the population. It may, of course, be the case that Dr Kishore Singh’s anxieties are ill-founded. It could be the case that a beneficent and selfless organisation takes responsibility for schooling in a state, and is prepared to accept the guidance of a democratically elected government with regards to how provision for all children can be achieved. Sadly, I think that in expressing his concerns, Dr Singh is right in suggesting that the forfeiting of responsibility for ensuring that all children have access to education is a measure of the lack of commitment to equity and inclusion on the part of some governments. Ensuring that Education for All becomes a reality was never going to be easy. It will be made even harder if governments fail to accept that it is their responsibility to effect change that will benefit all children. Tutors should always be available to offer support and advice as students approach the final hurdle of the MA dissertation. 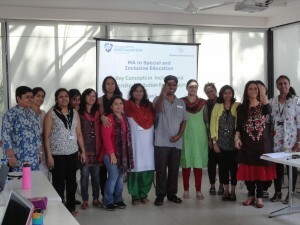 All that stands between you and a Master of Arts Degree in Special and Inclusive Education now is the dissertation. I have heard myself saying this a few times over the past few days as our dedicated and hardworking students enter the final straight towards gaining their degrees. If the degree was awarded solely on the grounds of commitment towards children we could make the award today. But it is rather more complicated than that. The good news is that this week we are working here in Bangalore with our second cohort of students on this programme. The third cohort will be with us again next Monday and we are already attracting potential candidates for the fourth group. Today each one of our students can look to the achievements of our first cohort who have completed their studies and gained their degrees. This final hurdle, the dissertation, inevitably seems larger than those that have gone before, but we are confident that we have a group of students working with us who will stay the course. Our work with them to date has already provided plenty of evidence that they have the professional skills and attitudes to succeed. 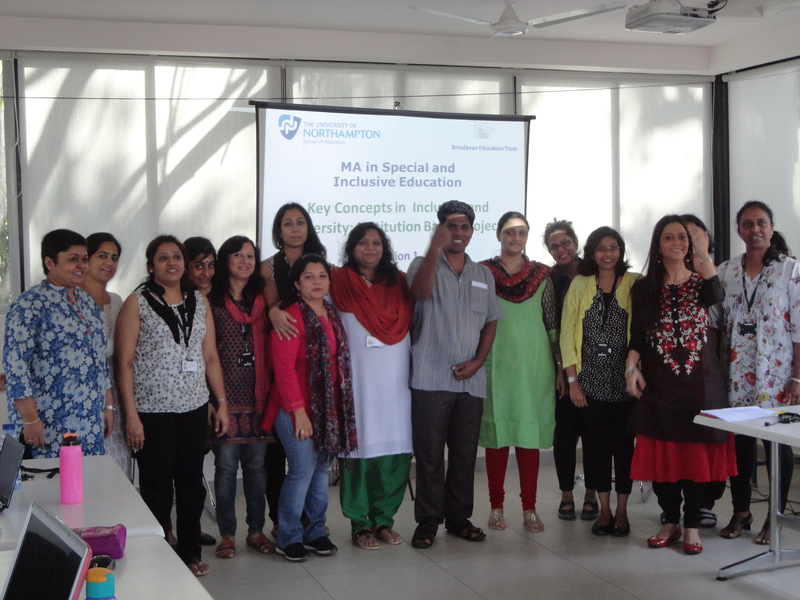 Conducting a piece of original research in the area of inclusive education affords opportunities for these dedicated individuals to extend their own learning to new levels and become leading professionals in the field. Just as with the first group of students, these colleagues are not only developing new ideas, but are putting these into practice in their classrooms. Their expectations of all learners have risen and they are questioning and challenging pre-conceived ideas about children who have previously been seen as “problems” in their schools. Mary is an excellent tutor, always there to allay the worries of students as they progress through the course. Each time we come here to Bangalore we are met by students eager to tell us of the impact that their work is having. New child friendly approaches to assessment, changes in lesson planning, developments in individual education plans and differentiated learning have all been identified as progress made in schools. As this current group prepare their dissertation topics, examining the research methods they will use and discussing the samples with which we will work, we grow ever more excited by their ideas and focus. The impact of dance on children’s well-being in a special school, the effects of the 25% quota under the Right to Education Act in two contrasting schools, inclusion in a Montessori environment, parental attitudes towards children with special educational needs, and the impact of participation in a running club on the self-esteem of children with disabilities gives just a brief flavour of the variety of research interests being pursued. 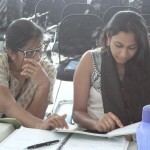 The students on this course are surely at the cutting edge of developments in this field here in South India. As the numbers completing this course increase we will have a strong community of teachers all working towards a more equitable approach to teaching and learning. Keeping them together and maintaining the momentum will be a critical part of ensuring that all of their hard work benefits the maximum number of children. Already we have students who are preparing for further research as PhD students either with us in Northampton or in Indian universities. Their research will undoubtedly add considerably to the increasing efforts to make inclusion a reality within this country. For those of us fortunate enough to teach on this course, the prospect of having a fine group of alumni who will assume leadership roles in promoting inclusive schooling, is one that we cherish. I am sure that in years to come we will be celebrating further successes achieved by both these colleagues and the children who they teach. They may be slightly apprehensive about their dissertations at present, but we have every faith in their ability and motivation to succeed. If you think you are up to the challenge and want to join the course, we are recruiting now for September 2015. Do get in touch. Making a fair demand for quality education. I am grateful to my good friend Sunil who has drawn my attention to a news item from India, which whilst in many respects disturbing, is also reassuring in illustrating how much children appreciate the opportunities to be gained from education. A report from the Hindu newspaper of 2nd November (you can read the article at http://www.thehindu.com/todays-paper/tp-features/tp-sundaymagazine/when-the-girls-came-marching-in/article6556251.ece#.VFzfJTMp9-A.gmail) describes the actions taken by students from aajakiya Balika Ucha Madhyamik Vidhyalay (Government Girls’ Higher Secondary School), in Bhim, Rajasthan in protest against the failure to appoint teachers to their school. The student population of this school numbers 700 but only three teachers make up the staff. 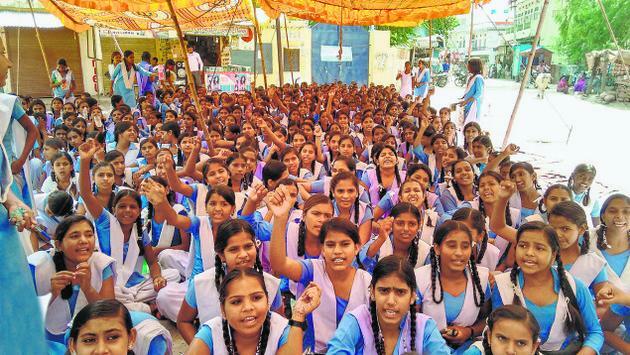 The authorities responsible for staffing the school having failed abysmally to provide sufficient teachers to deliver the curriculum, have now been confronted by a well organised group of girls determined to take matters into their own hands. Very appropriately choosing Gandhi’s birthday (Gandhi Jayanti) to begin their action, the girls marched through the town chanting slogans such as ‘Shiksha ka adhikar diya padhane wale koi nahin ’ (You gave us the right to education but no one to teach us), and Raghupathi raghav raja ram, sarkar ko buddhi de bhagwan! (Raghupathi raghav raja ram, dear god, please give the government brains!)”. The girls quickly gained the sympathy of local people who have declared their support for their cause. Their determination is such that they have attracted the attention of both local educational administrators and the national media. Gandhiji, who himself campaigned hard for universal education in India, would certainly have been proud of the actions taken by these girls who by all accounts conducted themselves in an orderly manner and with great dignity. The actions of the girls, and the support they have received from the local community has certainly had an impact and stirred local administrators into action. So much so that they agreed to meet with the protesting students. However, when the officer in charge of education gave the excuse that there was an acute shortage of qualified teaching staff in the state, his comments were met with derision by the students who responded that “there are enough teaching staff at every boys’ school, but the government is ignoring our voice since we are girls.” The students made it clear that if teachers were not appointed by October 7, they would lock the school gate and take further action. On October 8th, no new teachers having been appointed, this was exactly what they did. The education authorities at this point accused the girls of disrupting classes. In response the students set up a tent to hold classes outside the school and did so very pointedly in a position where they could be clearly observed by the very people who were accusing them of disruption. The local community have rallied around the girls with shopkeepers and other providing them with food and voicing their support for the actions taken. The students are demanding that the authorities appoint at least one teacher for each main subject of the curriculum and have demonstrated their determination to see their action through to a conclusion. Recent reports suggest that the school staffing has now increased from three to seven with the authorities recognising that the whole community is supporting the campaign. This is the first of what I am sure will be many successes achieved by these brave girls. I was in Bangalore on Gandhi Jayanti this year and recall the publicity gained by Prime Minister Narendra Modhi when he and some of his cabinet took to the streets with brooms, and claimed that in Gandhi’s name they were taking actions to clean the streets. I do hope that the Prime Minister has been watching the actions of these students who are demonstrating that peaceful and determined actions, rather than tokenistic gestures can bring about the changes that we surely all would wish to see. This may not be a conventional classroom, but the quality of learning has been proven. 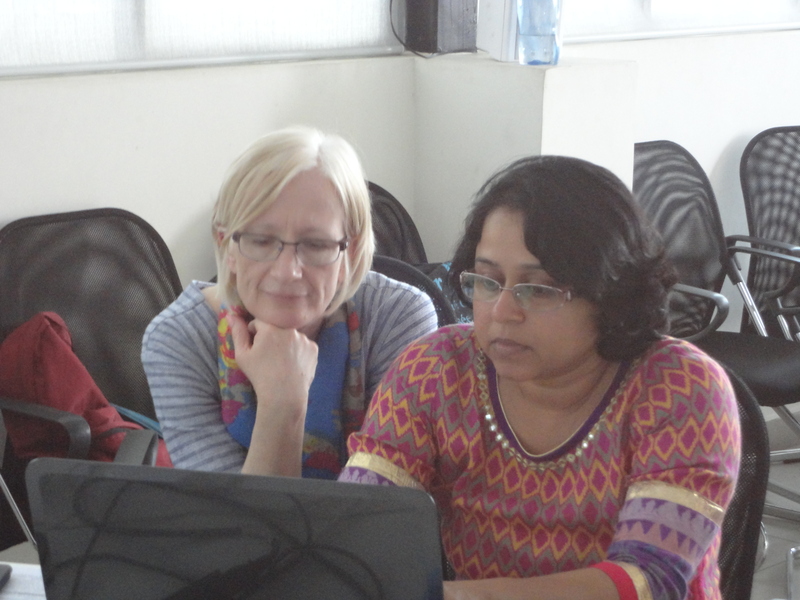 At a time when we are being informed of the importance of incorporating greater levels of digital technology into our teaching, it is heartening to hear that there are still projects taking place that make a real difference to the lives of people without recourse to expensive resources. 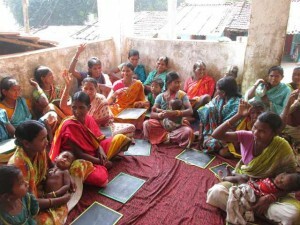 A recent article in India Together reports a successful initiative to raise levels of literacy amongst women and girls in poor communities in Rayagada, Kalahandi, Koraput and Nabarangpur districts of Odisha, and demonstrates that the critical factors in initiating successful learning and teaching are enthusiasm and innovation. In villages in this area volunteer teachers, who come from similar circumstances and speak the local dialect, have been organising forty five day literacy camps in which they spend the mornings of each day teaching classes and encouraging individuals to gain the confidence to acquire and use new skills and knowledge. Whilst the focus of the teaching is upon raising levels of literacy amongst a population that has had little engagement with formal teaching, the intention is much broader and the interpretation of the term literacy is highly functional. Through the provision of skills associated with reading and writing, the female students are learning about critical issues associated with health, well-being and social skills. Women in these areas have no history of schooling and live challenging subsistence lives in which they must work hard in order to ensure the welfare of their families. When the scheme was first mooted they were reluctant to participate, suggesting that this would be a distraction from their working lives and that they were able to live without the learning that was on offer. However, after a period of encouragement by the volunteers and with the added incentive of a meal provided at the end of each day’s lessons, some of the women gradually began to join the classes. After early reluctance to participate and a slow start to establishing this scheme, the workshops have gained momentum and there are new demands for similar approaches to be established elsewhere in the region. Awareness of the scheme and its benefits has been partly achieved through the work of Kalajatha, a traditional form of folk theatre which has travelled the region enacting stories that increase awareness of the advantages of literacy as well as giving important messages about health, welfare and hygiene. Modern teaching approaches are, of course, helpful in today’s classrooms, and the use of technology can be a great motivator for children and teachers alike. But the first principles of teaching remain those associated with establishing respectful relationships and building upon existing knowledge. 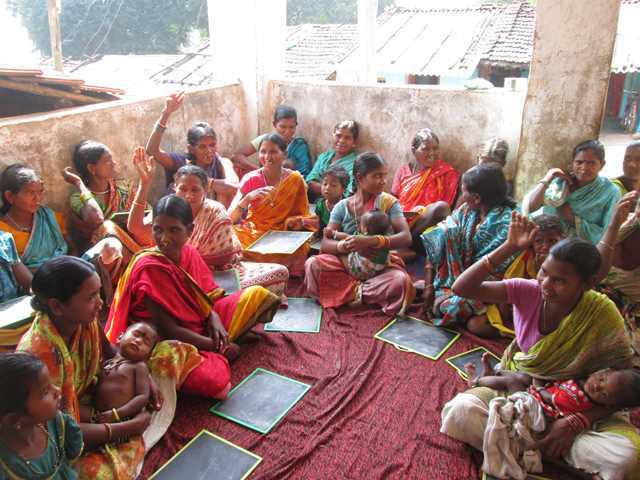 This has enabled the volunteers in Odisha to develop such a successful programme and to bring increased levels of literacy to local communities. Most of the debate surrounding the Right to Free and Compulsory Education Act (RTE) in India has understandably focused upon the needs of children. But it is well known that the learning habits of parents, and the value that they place upon education has a significant impact upon the attitudes of children towards their own schooling. By providing these opportunities to mothers, many of whom take their children with them when they attend the workshops, the instigators of these sessions are establishing positive attitudes to learning. This is certainly an important initiative which should have long term benefits. 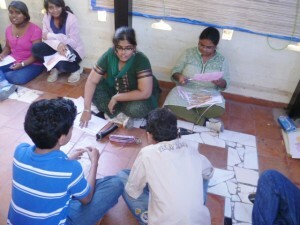 The literacy workshops are simple in their conception and basic in their delivery of teaching and learning. I suggest that in the environment in which the volunteer teachers are working this is the most appropriate approach that could have been developed. It is to be hoped that others may follow their example and that many more communities will gain similar advantages in the future. Spare the child and ditch the rod! I remember on one of my earliest visits to an Indian school in 2000 being alarmed by the number of teachers who arrived at their classrooms carrying canes. I must emphasise that during visits to schools in India I have never seen a teacher using such an implement against a child, though the threatening action of slapping a stick hard down on a disk top is something I particularly recall from a visit to one school. I should also add, that in recent years my visits to schools in several parts of India would suggest that (with one notable exception), the practice of carrying a cane is much rarer than it may have been in the past. It has always seemed to me that teachers who need to resort to violence in order to manage their classes are demonstrating their own inadequacy rather than that of their students. In discussion with teachers in India, as elsewhere, the majority appear as appalled by the thought that corporal punishment should have a place in education as I am. One does not have to be the most astute observer of the world to see that where violence is used as a means of solving problems this quickly escalates, and often exacerbates a situation until it is out of control. My parent’s generation and certainly that of my grandparents attended school at a time when the physical chastisement of children was still an accepted practice in English schools, and although it was not made illegal until an Act of Parliament in 1987, it was rarely used during my school days. I do recall children being caned at my secondary school, and indeed I was subjected to a milder form of corporal punishment administered with the rubber sole of a plimsoll. Such an act today would quite rightly lead to serious questions being asked about the conduct of a teacher, even if the transgression of the individual pupil was deemed serious. Significant moves towards halting corporal punishment in Indian schools have been taken in recent years. A report by the Ministry of Women and Child Development in 2007 suggested that substantial numbers of children in Indian schools were still being subjected to violence from adults, and that this was having a detrimental impact upon both their physical and mental well-being. The 2005 National Plan of Action for Children and the Report on Child Protection for 2007-2012, called for the implementation of The National Policy on Education (1986, modified 1992) which stated that “corporal punishment will be firmly excluded from the educational system.” As with all policies, the intentions may be good, but unless the spirit of the Act is applied through action, situations will not improve. This issue came to the forefront of my mind yesterday on reading a report in several Indian newspapers, of children with visual impairments in a school in South India being severely beaten by teachers. We are not talking here of one or two strokes of a cane, which in itself would, in my opinion, be a heinous crime, but a sustained and vicious attack upon children unable to see what was happening or to defend themselves. Unknown to the teachers, their actions were caught on video and posted on various websites in order to emphasise the deliberate flouting of the law and the unacceptable behaviour of these individuals. The violence of adults who are entrusted with the care of vulnerable children should disturb the sensibilities of any compassionate individual, and should certainly challenge the complacency of those who have the ultimate responsibility to manage education and care. A link to the video recording is provided here, though I must advise that it is extremely disturbing and would urge you to ensure that it is not shown to children. Such incidents will continue for so long as teachers and parents are complicit and do not stand up against violence in schools. It will certainly take courage on the part of many individuals if such behaviours are to cease, because many fear retribution against either themselves or their children, if they speak out or act. India is a country with a proud history of overcoming oppressions largely through non-violent means. If the use of satyagraha could defeat an occupying administration it must surely be a lesser task to ensure that children can attend school without the fear of being subjected to violence. Who should profit from the Right to Education? 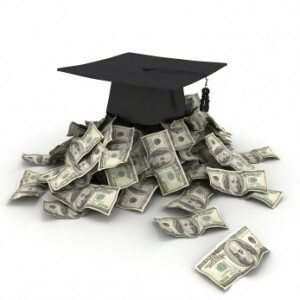 Who should profit from education? There are serious questions to be asked when money and schools collide! The implementation of the Right to Free and Compulsory Education Act (RTE) in India was never going to be straight forward. 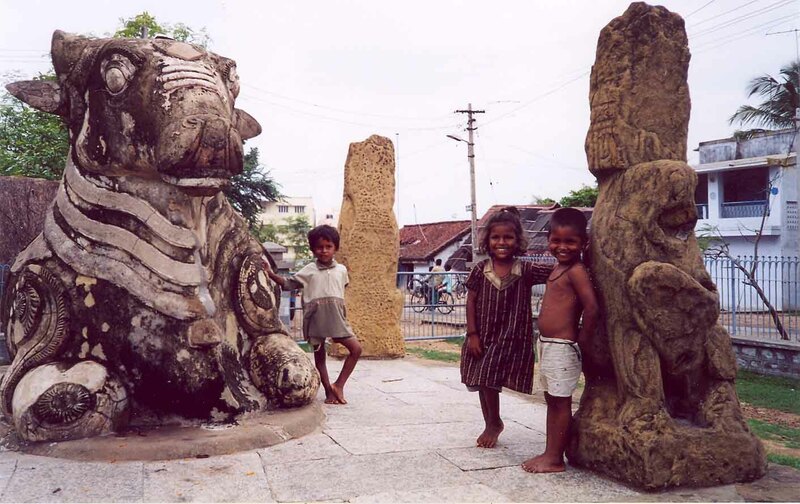 Following the Indian media from the time when this well intentioned, though somewhat flawed legislation was introduced, has provided plenty of evidence that there are many within the Indian education system, from teachers through principals to state administrators, who are fundamentally opposed to the law. Some private schools appear to have vested interests in maintaining the status quo and have openly declared their reluctance to admit pupils who they see as having a potential for lowering their attainment. Others fear that middle class parents who are prepared to invest financially in the education of their children will not wish to have them sharing classes with those from lower castes or with disabilities. By contrast, others see the RTE as a bold assertion of the right of all children, including those who have for too long been marginalised, to gain access to schooling alongside their peers. I would certainly see myself as part of this camp and believe that it took courage on the part of the Indian Government to introduce this policy, but will take even greater fortitude to see it to fruition. The introduction of quotas which place a clear expectation on all schools that they should enrol children who have previously been denied access to education, is possibly the most controversial aspect of the RTE, and many of us had anticipated that this would result in a degree of protest and resistance. One of the greatest challenges to the potential success of the RTE is almost inevitably associated with money. The Indian Government agreed to ensure that the fees of children enrolled under this Act would be paid directly to schools in order to assist with resourcing. In my experience, once money becomes a prime mover in education there is a high likelihood of systems beginning to fail. Sadly this is being regularly confirmed in reports from around India in relation to the RTE. It should never be denied that schools cannot operate unless they have sufficient funds to cover all the expenses of resourcing classes and paying staff. However, I would argue that above all concerns in a situation such as this should be the welfare of the children at the heart of this dispute. If the fees have not been paid to the school then surely the government should be held to account, not the children and their parents. We appear to have a classical stand-off situation in which the school will not accept the children without fees and I suspect that the fees will not be released to the school until such time as the children are in class. On reading this report I reflected on how I might have acted when I was head teacher of a school here in England, admittedly under very different circumstances. I like to think that I would have put the children first by enrolling them into the school and fighting for the fees once they were settled into class. However, I am aware that the principal of Vikhe Patil memorial school will be under considerable pressure from her board of managers and a faction of the parent body, and that decision making is not straight forward. But having said that, why did the principal join the teaching profession in the first place? Was it to serve the children in her community based upon an ethos of social justice and equity, or to run a business employing the principles of the market place. It may be unfair to single out this particular school as a means of highlighting the current challenges facing the RTE and moves towards inclusive education in India. I could just as easily have identified a similar situation from across the country where such disputes have become a daily feature of schooling in India. For those of us working in this field, we need to look beyond the headlines to try and understand why there is continued resistance to legislation that almost everyone agrees has honourable intentions and is seen as an important step towards the achievement of universal education in India. I suspect that the principal and staff of Vikhe Patil school need support in understanding what they can achieve with children who they perceive as challenging their previously comfortable existence. Change can be worrying and this is clearly a school living with fear. It is surely beholding upon those of us who are critical of these situations to find the means of offering the support to educate such professional colleagues in the advantages to be gained through developing a more inclusive school. Whilst we are critical of situations such as these, simply shouting about injustice will not move matters forward. I recently finished reading Ramachandra Guha’s excellent book “Gandhi Before India.” Guha is one of my favourite writers on India, and along with John Keay and William Dalrymple has provided detailed insights into the many historical influences upon the development of that complex country. In this, Guha’s most recent book, he demonstrates how Gandhi’s experiences whilst training for the law in England, but more especially during his time in South Africa, were critical in shaping his social and political theories, and even more so his confidence as a leader and social reformer. In his early days in Natal, Gandhi was far from the confident and astute leader of men and spiritual guide that he became in the second half of his life. In “Gandhi Before India,” Guha discusses how Gandhi’s association with supportive Europeans and local Indian and Chinese leaders in South Africa and his reading of Tolstoy and Ruskin alongside the works of great Indian thinkers such as Raychandbhai, helped him to develop as an astute politician and community activist. I have been reading Gandhi’s own writings alongside much of what has been written about him for the past forty years, and have come to admire him not as a saintly figure, as he is commonly described in some of the more hagiographic works, but certainly as a great social and political reformer and a man of outstanding principle and humanity. Whilst he was undoubtedly flawed, particularly in relationships with his family and in some of his denials of the values of certain aspects of modern science, such as the efficacy of modern medicine, he did provide an example of how we might live for the greater benefit of society, and in support of those who are the most vulnerable members of our communities. I suspect that many people if asked to describe Gandhi’s greatest achievements would identify his leadership in the campaign for Indian independence. Furthermore, they are likely to say that he committed himself to achieving this through the use of nonviolent means and paved the way for other leaders who followed him in various struggles for freedom. Significant world figures such as Dr Martin Luther King junior, and Aung San Suu Kyi have cited Gandhi as influencing their work and the ways in which they have approach their struggles for justice. But it is also true to say that many less influential people have learned much about how they may conduct themselves in order to overcome oppression or injustice through his example. 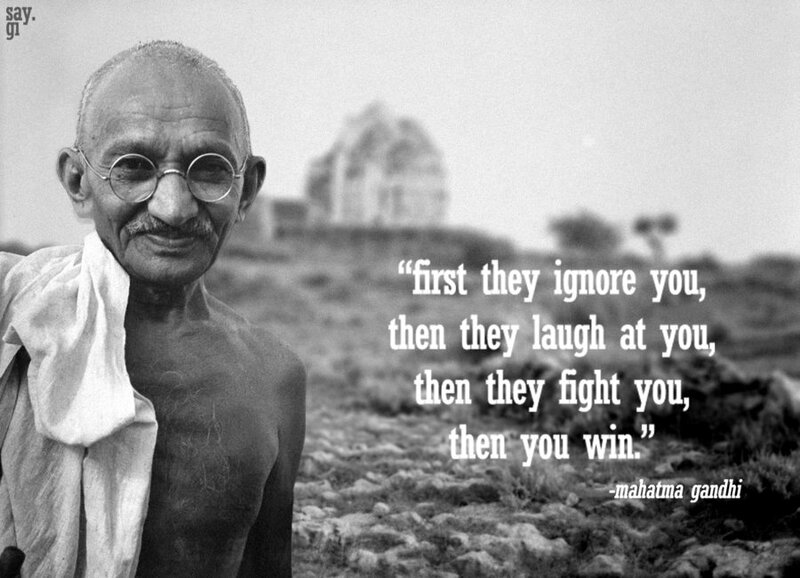 Gandhi gave us satyagraha (roughly translated as “soul force”) as a non-violent means of protest. This is often (wrongly in my opinion) interpreted as passive resistance, a term I don’t like, because the word passive implies that the use of satyagraha requires little action on the part of the protester. This form of protest or demonstration proved highly successful in Gandhi’s campaigns in South Africa and India and remains a potentially potent means of effecting social and political change. It is reported that the police eventually removed the protesters who were then allowed to return home. A search across Indian media indicates that such protests are becoming increasingly common in various parts of India. Scores of parents from Pollachi, Mettupalyam and other parts of the Coimbatore district staged a sit-in protest at the offices of the Chief Educational Officer in the city on Saturday. These parents claim that schools are refusing to admit students under the requirements of the RTE that expects the reservation of a quota to enable students from poorer families, scheduled castes or scheduled tribes, or those with disabilities to gain access to school. Some of the protesters claim that private schools were admitting children from “affluent families” stating that they were legitimate candidates under the requirements of the Act. Similar reports of protests can be found from many parts of India and it is clear that an Act that was well intentioned and gave a commitment to improve the educational opportunities of previously marginalised groups, has run into difficulties. At present the protests appear to be small scale and ill-coordinated and as such their impact is somewhat muted. However, in a democratic nation the right to protest is recognised and the voices of individuals and groups who feel that they are aggrieved can be heard. The spirit of non-violent protest is clearly alive and well in India and is being used in support of children and their right to receive a better education. I am sure that Gandhi would have approved of these potential new satyagrahis, though I also suspect that he would be raising his eyes at the fact that there appears to be little co-ordinated national response, towards those who are failing to ensure the fair implementation of an Act intended to change the face of Indian education. With the right support teachers can deliver. These children told me that they don’t go to school. They also told me that they would like to do so. Let’s hope that their prospects may now be improved. I imagine that in India at present there must be many people wondering what the new Indian government under the leadership of Mr Narendra Modi may bring to the country. Whilst observing the Indian media I have detected extremes of elation and apprehension at the appointment of the new Prime Minister, and I have no doubt that his every move will be scrutinised over the coming years of his period of office. No matter what political affinities individuals may hold, one can only wonder at the monolithic task of conducting elections in the world’s largest and most diverse democracy. I am today struck by the contrast between the democratic processes that are one of India’s great successes and the sham which purports to be an electoral system in Syria. As an interested bystander who observes India for the most part from a distance, and relies for news on a not always impartial press and media service, but more so on the discussions I have with friends and colleagues from within the country, I will be particularly curious to see how developments in respect of children and education are advanced under this new administration. The UNESCO Institute of Statistics reported in 2013 that the number of children out of school and therefore not having access to formal education in India is 37.7 million. That equates to approximately fifty percent of the world’s number of out of school children. The National Council for Education in India have been campaigning hard to address this issue, including taking action to the Supreme Court. The monitoring of this figure must surely be a priority for the incoming government. The Right to Free and Compulsory Education Act (RTE) (2009) has been a focus of attention for most individuals and groups who are concerned for the education and rights of children from marginalised populations. During his election campaign, Mr Modi, along with other members of the Bharatiya Janata Party (BJP) promised to “revitalise and reorganise” education in the country and specifically referred to improving schooling for those with disabilities and from economically disadvantaged backgrounds. Since its implementation the RTE has been a source of dispute, anger and disappointment. It is often seen as well-intentioned but cumbersome, with many schools and education administrators finding ways to avoid its implementation. For those watching developments on this front, the issue of schools seeking minority status from their State Governments, thus allowing them to avoid the retention of 25 percent of their seats for children from socially and economically disadvantaged students, will undoubtedly provide a critical focus. The legislation as it stands lacks clarity and many schools are identifying ways to circumvent the spirit of the Act. In some states, such as Tamil Nadu the target figures for admission of students previously denied education has fallen well below 50 percent of those anticipated. In many instances school principals have claimed that they had no applications from families who fall within the criteria. Critics say that they have adopted a stance aimed at repelling potential applicants and have made clear that such children will not receive a warm welcome. It is, of course, easy to be critical of these schools and indeed the blatant obstacles that many have put in place are inexcusable. However, if the new government is sincere in addressing the challenge of children denied their educational rights, a first priority must be the preparation of teachers to address a more diverse school population. In my many meetings with teachers in India I have found that whilst some are adamant in their belief that a policy of inclusion should not be adopted, I meet many more who are concerned that they wish to see a more equitable system created. For many, their greatest apprehensions are centred upon their lack of experience of working with children from marginalised groups and their belief that they lack the skills to teach them. 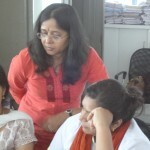 Even the most committed teachers who I meet during their attendance on courses, such as the MA programme we run in Bangalore, express some anxieties. If these dedicated professionals have concerns, how much greater must these be amongst those who have not as yet made the commitment to working for the development of inclusive schools? The next few years are likely to be critical in the development of education in India and the full implementation of the RTE will be an important factor in the success or failure of the school system. I do hope that Mr Modi and his ministers have the courage to push forward the important initiatives that have the intention of improving the lives of millions of children and their families who have lived in poverty and exclusion for too long. Hopefully he will recognise that those who can deliver on these policies for him, the teachers in schools, need professional development and support if they are to succeed. I have the good fortune to work with teachers in India who are keen to deliver for pupils who have previously been denied their right to education, and undoubtedly will deliver given the right support.